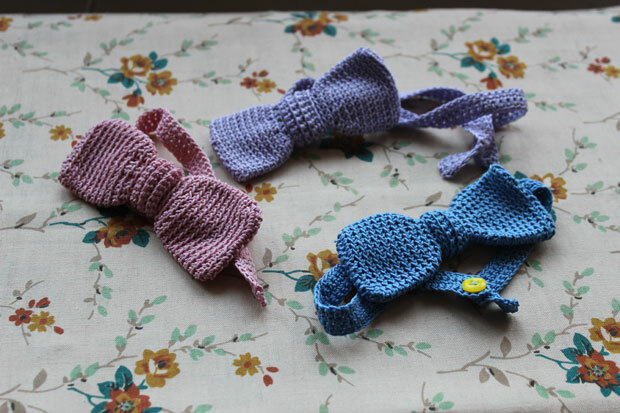 In two weeks' time I am going to the wedding of one of my friends in Sweden, so which bowtie shall I choose? I was also asked by my friend if I could play something during the service - just so you know I have been playing the piano as long as I have crocheted. I will upload a short theme in the next few days when I’m closer to finishing it, so you can tell me what you think. In the meantime, jump over to the Australian photographer Tim Coulson's blog for some awesome wedding photography. I would go for the pink one with a yellow shirt and slim, grey pants. Hi PUK that would be nice. I've to look out for a pair of gray slim trousers. Great. Will look forward to see your picture. Thank you Louis et Moi... or should I say "gracias"? I am glad you like my blog. Blue is a good suggestion though.